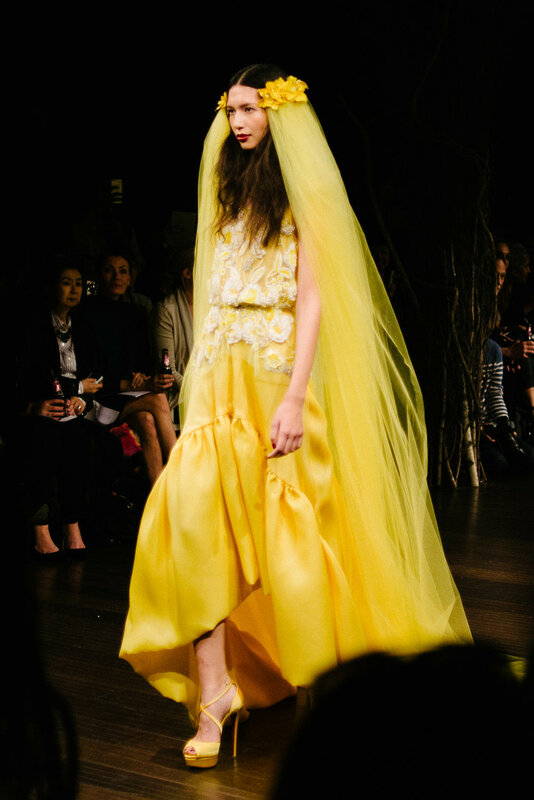 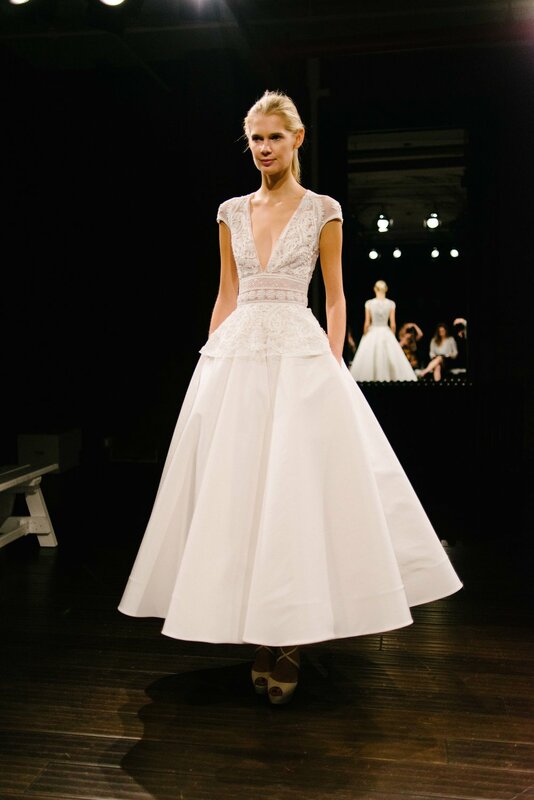 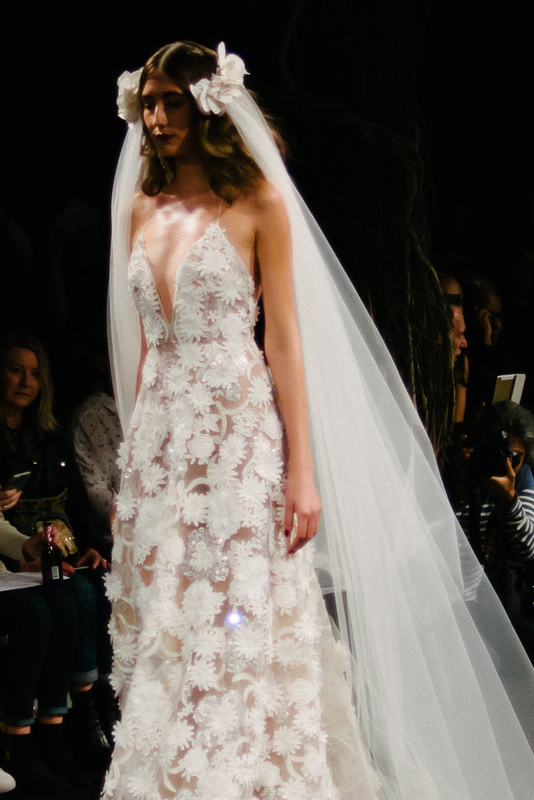 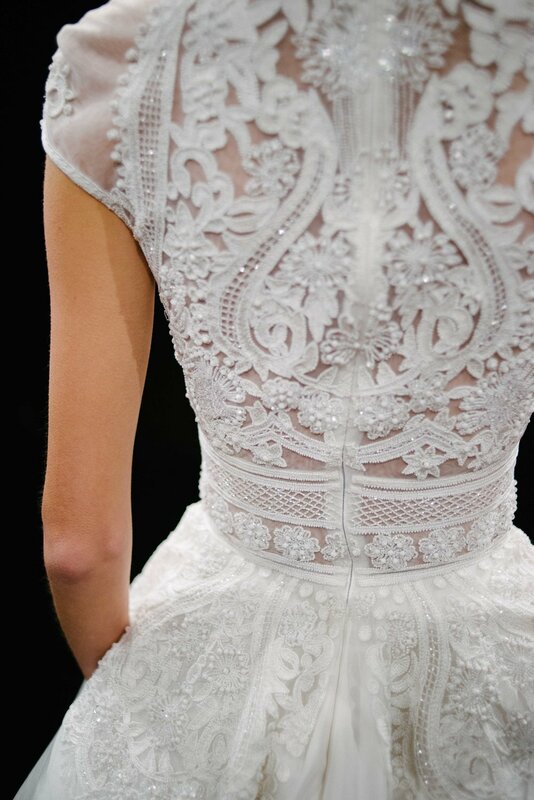 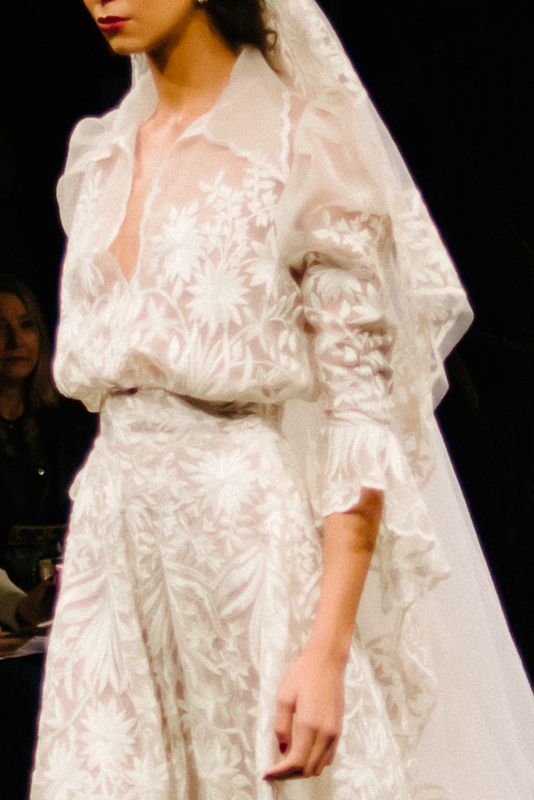 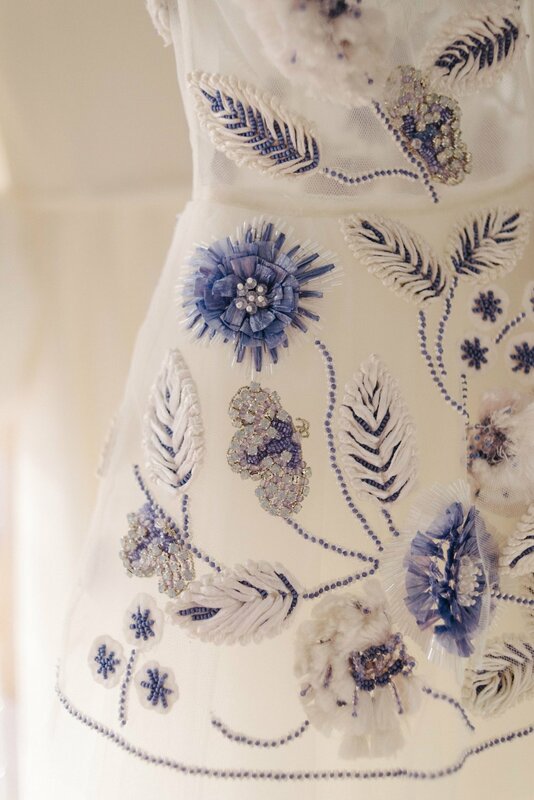 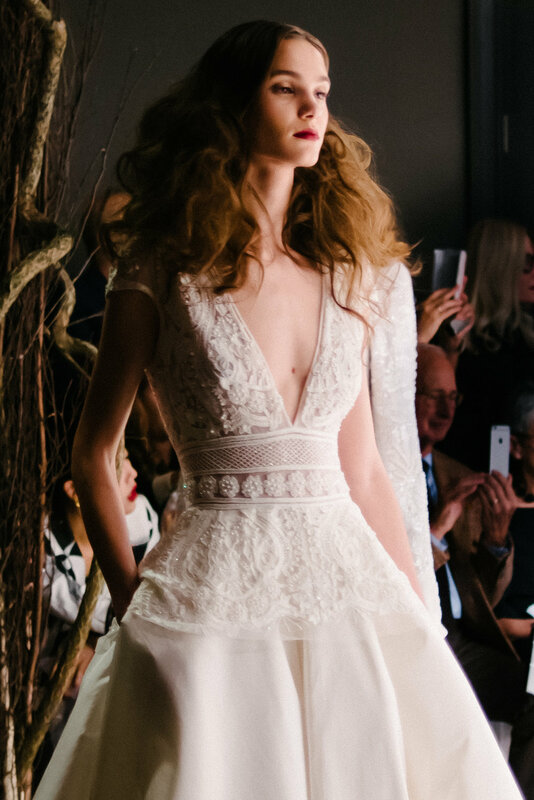 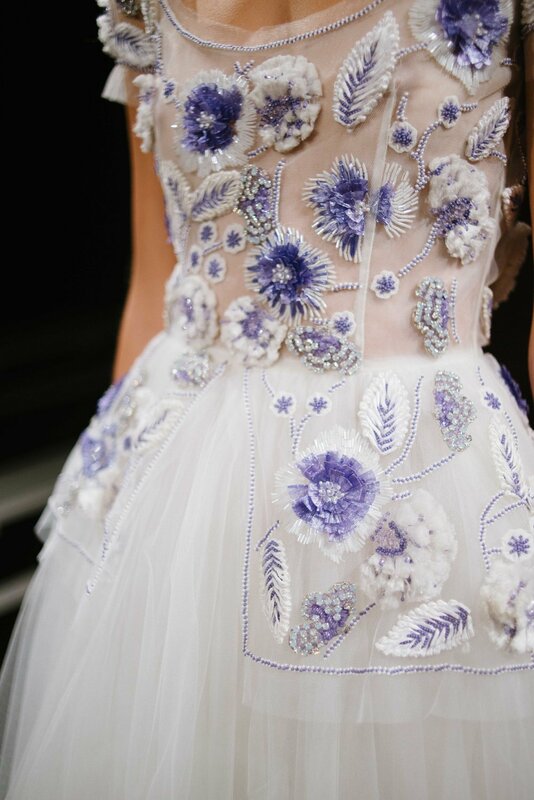 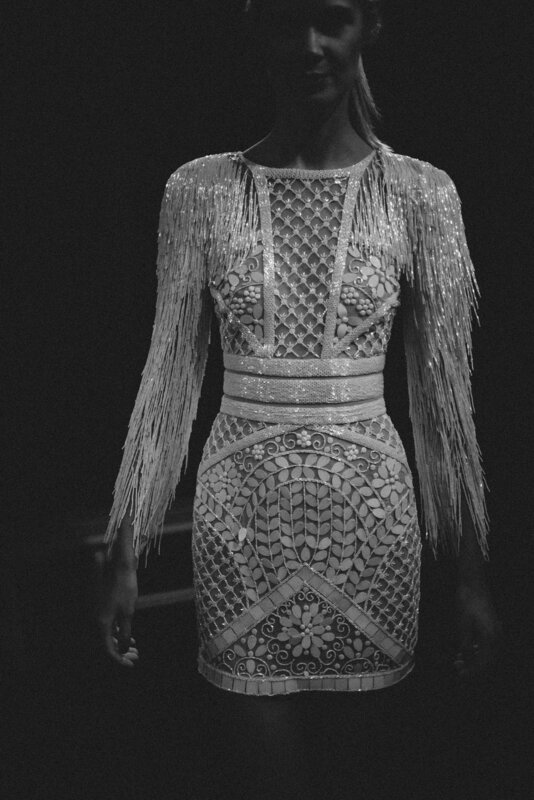 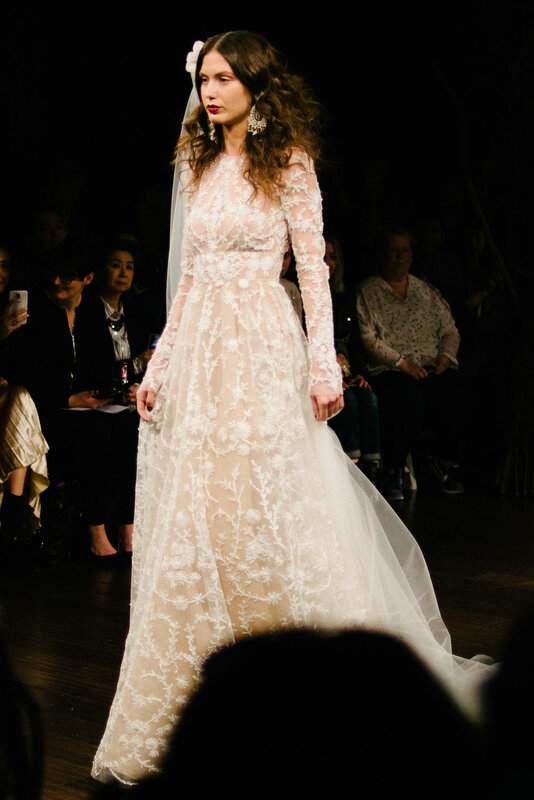 One of the biggest highlights of New York Bridal Fashion Week is always Naeem Khan's exquisite collection. 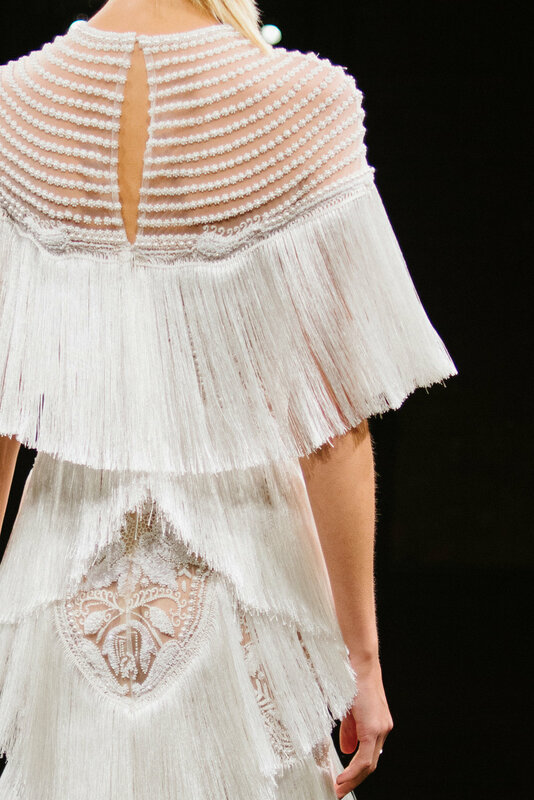 His incredible couture designs and details are the definition of awe-inspiring, elevating bridal fashion to a completely different level each season. 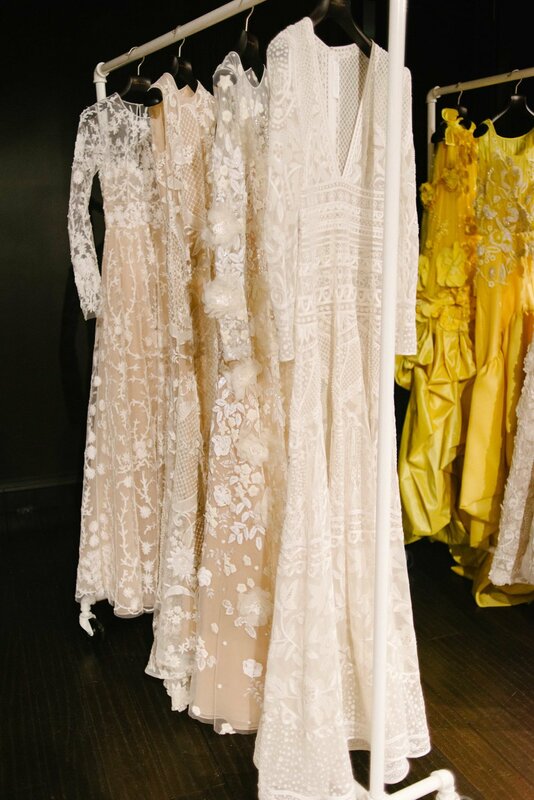 Each gown is meticulously hand-beaded and hand-embroidered, made in the same gorgeous New York City penthouse where the runway show is held. 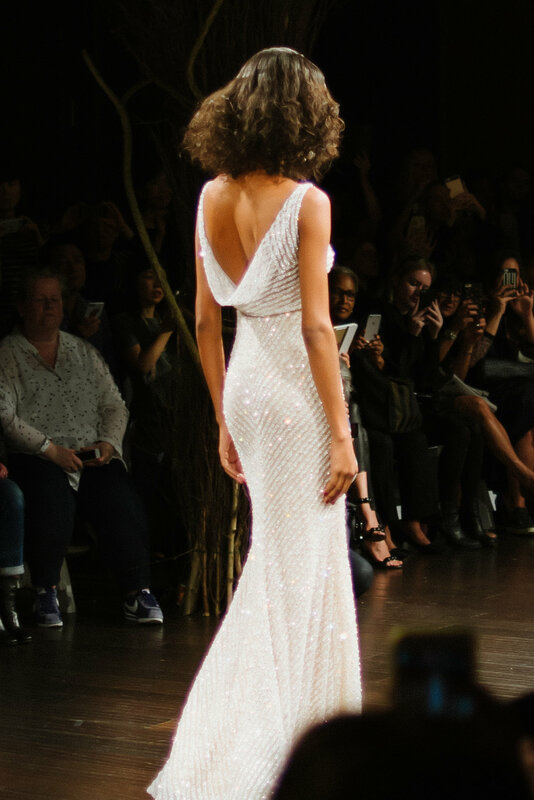 The Fall 2017 collection combined Old New York glamour, Marlene Dietrich-esque models, and canary-colored gowns as stand-out details. 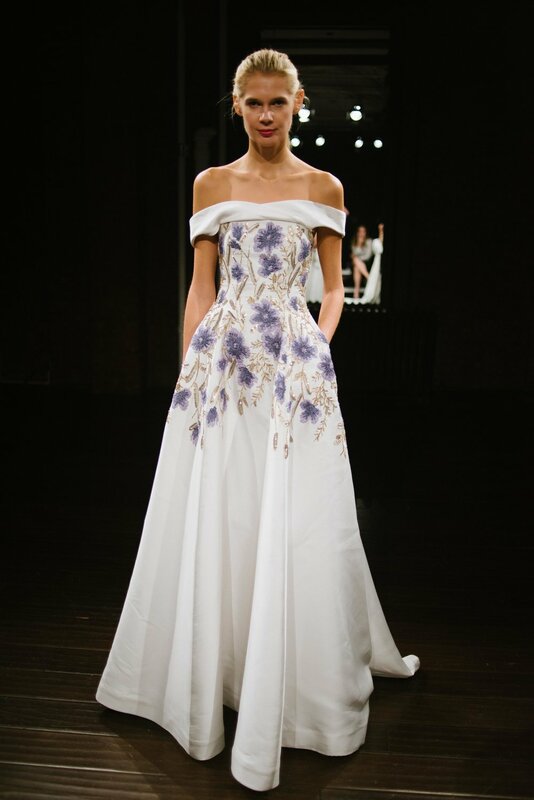 Naeem's runway shows tend to be the hottest ticket in town, with an electric audience literally gasping in delight as each new creation emerges. 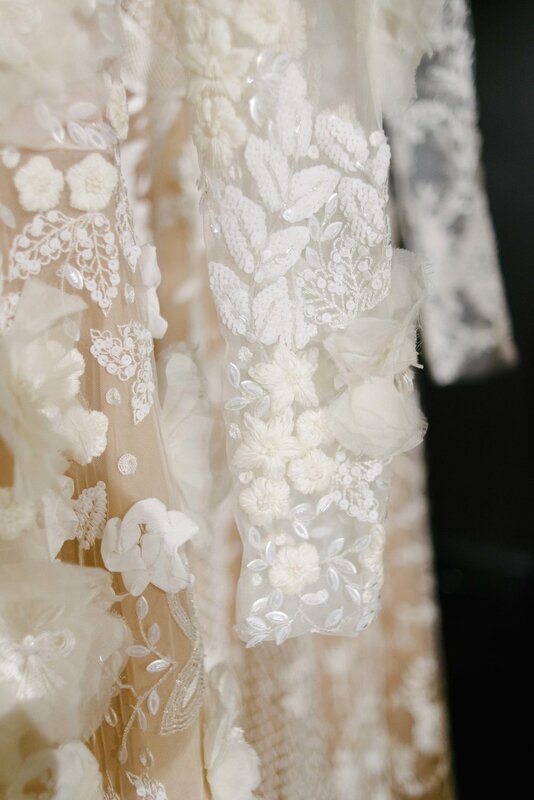 Our private viewing of the collection revealed just how exquisite each individual gown is. 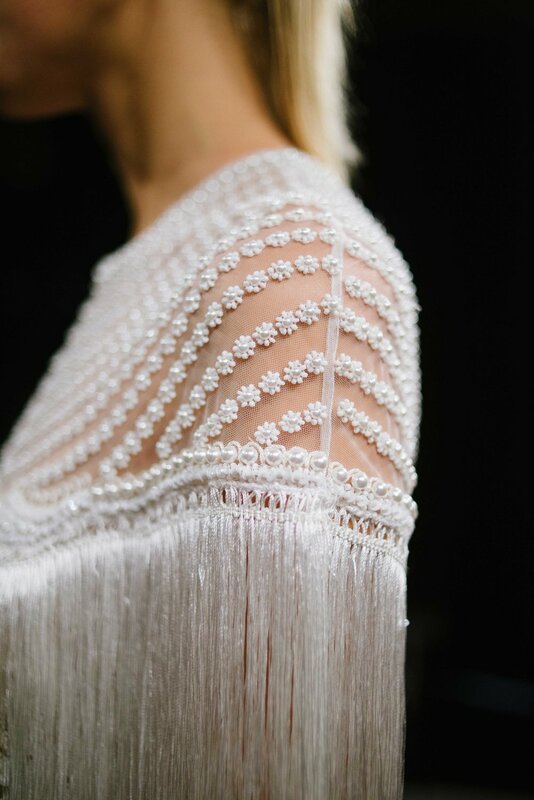 From the surprising lightness of the fully-sequined Sunset gown to the fringed fabulousness of the collection's little white dresses, seeing these details up close is a fashion lover's dream come true. 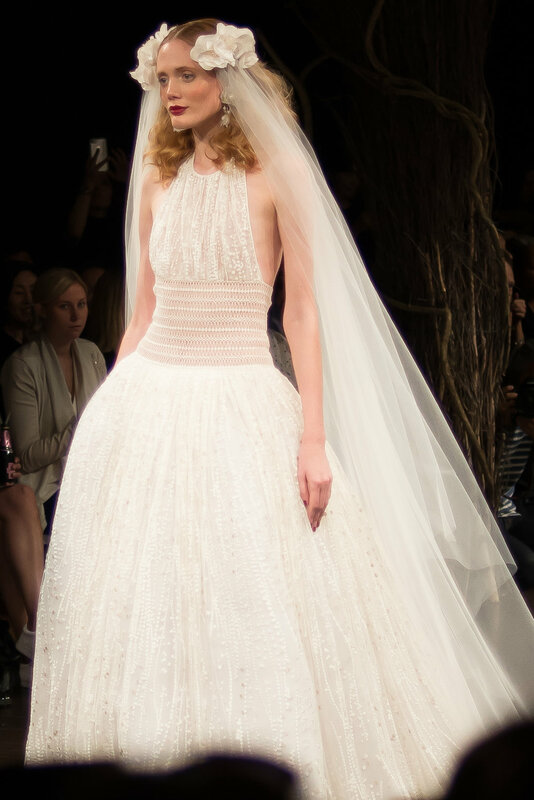 Enjoy the Fall 2017 Naeem Khan Bridal Collection - and just wait until you see these gowns at Little White Dress early next year!